I am delighted to be joining the International Editorial Advisory Board of Global Media and Communication, an international, peer-reviewed journal that provides a platform for research and debate on the continuously changing global media and communication environment. Its scope includes global aspects of communication and media studies, anthropology, sociology, telecommunications, public policy, migration and diasporic studies and has a particular remit to encourage a truly global authorship and breadth of articles. The journal has been published by Sage in print and online since 2005 and has a global readership. It currently publishes three issues per year (in April, August and December). As a board member, you would be involved in assisting with occasional reviewing of articles. 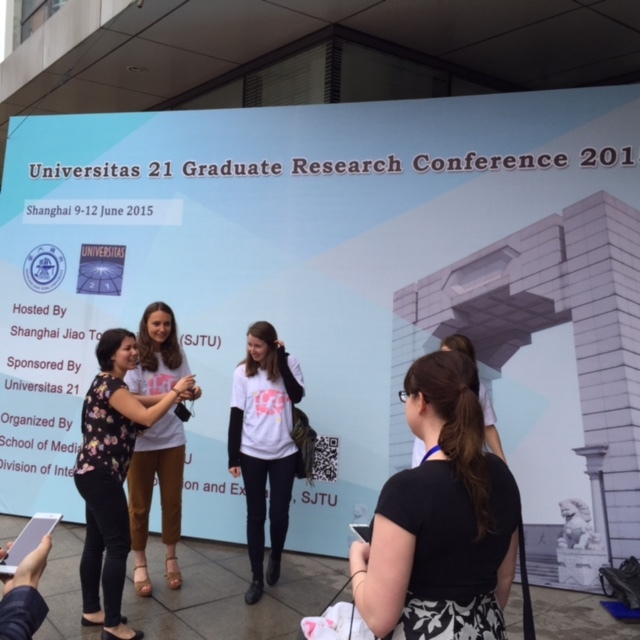 There are also opportunities to meet and discuss the work of the journal, e.g. at international conferences. Personally, it fits well with my work on global aspects of the Internet, such as my work on the New Internet World, and is timely in relation to a new graduate course I am developing on Global Media and Information. Please consider submitting to this journal if you have forthcoming research in this area. Attending an awards ceremony at MSU I discovered to my surprise and delight that every member of my class this semester was a recipient for an award for their academic achievements. True, I have a small seminar, of 5 students, three MA and 2 PhD students in a seminar on Media and Information Policy. But all five had received awards, along with other students of mine from the past semester. Needless to say, of course, I had nothing to do with their accomplishments, as my course is still in progress. Nevertheless I feel very proud of ‘my’ students. Doctoral students, Ruth Shillair and Whisnu Triwibowo, received graduate student fellowships, with only three being awarded. Ruth was chosen as well for the Outstanding Doctoral Student ‘Triple-Threat’ award, for her achievements in research, teaching, and citizenship. MA students, Menglei Cheng and Shenzi Su, received Academic Merit Awards, for their performance in course work, along with my student from last semester, Michael Nelson, who also received the Thomas F. Baldwin Endowed Fellowship. Along with these A students, Thomas Potron, received recognition in being chosen as one of our Academic Exchange Semester Students, visiting us from France. It is little wonder that I have been enjoying discussions over the semester. I should add that in a university of 50,000 students, with hundreds in our Department of Media and Information, it is a seriously remarkable accomplishment to be among the top. Congratulations to all of the students who received awards, and to my all-star class. I must add that for all of my students to receive such recognition, it goes down as a record for me as well! Here is a photo of me along with my students and a Visiting Professor, Jingwei Cheng, Communication University of China. Here is another photograph of some of the students, along with faculty, at the awards ceremony set in the Eli and Edythe Broad Art Museum at Michigan State University. This fall semester at MSU, I’ll be teaching a new course MI 401, which is right at the center of my work over the last decade, if not my entire career. It is entitled ‘Social Dynamics of the Internet’ – the latest incarnation of a course I designed in 1980 on the social dynamics of communication technology. 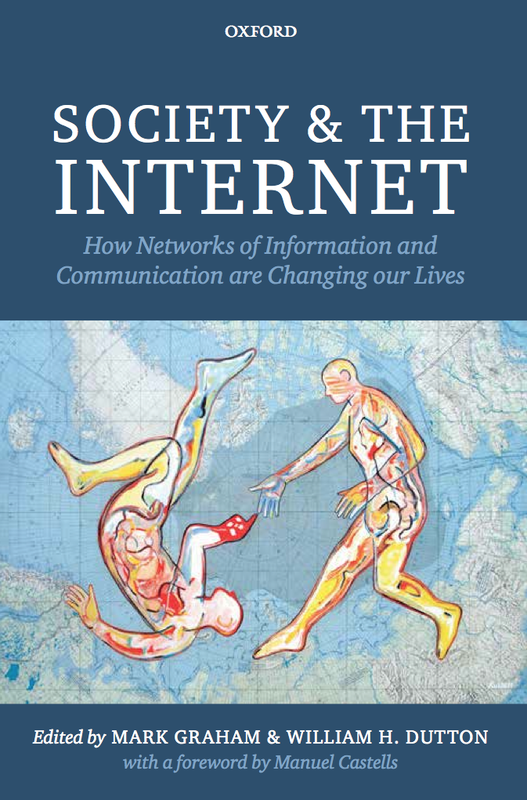 The course is anchored around my edited book, with Mark Graham, entitled Society and the Internet (OUP 2014). I hope to get students discussing, tweeting, writing and worrying about one of the central issues of our digital age. The draft syllabus is at Social Dynamics of the Internet, but I will keep refining it, so comments are invited. The course is designed for upper-division undergraduates, and graduate students. I have just received my copy of a new and wonderful book, entitled Can the Media Serve Democracy? Essays in Honour of Jay G. Blumler (Palgrave Macmillan, 2015), edited by Jay’s colleagues at Leeds, Stephen Coleman, Giles Moss and Katy Parry. What a fitting tribute to Jay. The volume focuses on the question that has driven Jay’s work over the decades, and the essays assemble some of the luminaries in the field, including Elihu Katz, Paulo Mancini, Denis McQuail, James Curran, David Weaver, and Sonia Livingstone, along with an interview with Jay himself. The book was the centerpiece of a Festschrift held for Jay in Leeds this month, February 2015, organised by the editors. 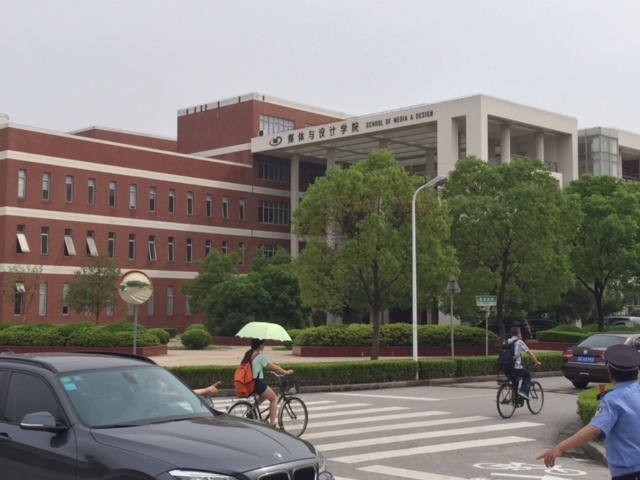 I could not be there, as I was attending a conference in celebration of the 50th Anniversary of Comparative Communication Research at the Chinese University of Hong Kong. You can imagine my pleasure when the first paper and panel of the conference provided a review and citation analysis of literature in this field and Jay G. Blumler was noted as perhaps the most prominent, and influential communication scholar of comparative media studies. Moreover, Jay continued to be praised throughout the conference, including his role as President of the ICA and an editor of Comparatively Speaking (1992). What great illustration of the global impact and longevity of his work? In sync with the message of influence provided at the Hong Kong conference, James Curran’s essay in the Festschrift book is entitled ‘Jay Blumler: A Founding Father of British Media Studies’. This is a book that is must reading for any media and communication scholar. It grapples with the fundamental question of media studies, including studies of the Internet, social media and related new media. Jay stayed focused on the big questions, whether studying British election coverage, the emergence of wired cities, back in the 1980s with me, or the rise of new media since the turn of the century. And the range of contributions from key scholars in the field make this book one of the best contemporary treatments of the media and democracy available, not only for scholars of the field, but also for students, who can see through this book the potential of an individual to shape major fields of communication. My thanks to the editors for such an outstanding collection. Blumler, J. G. (1992), Comparatively Speaking. Newbury Park, CA: Sage. Coleman, S., Moss, G., and Parry, K. (2015), Can Democracy Serve Democracy? London: Palgrave Macmillan.